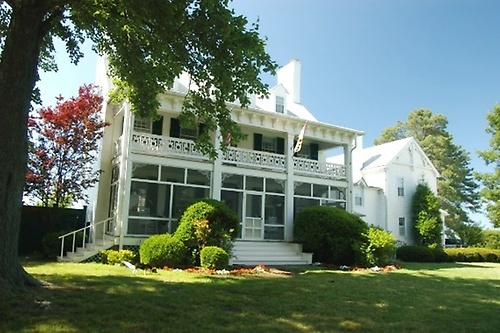 From Rt 50- Take Rt 322 Easton Parkway), Turn Rt onto Rt 33, Follow Rt 33 (St. Michaels Rd) through St. Michaels, continue on Rt 33 (Tilghman Island Rd) - Turn right on Wades Point Rd to end. 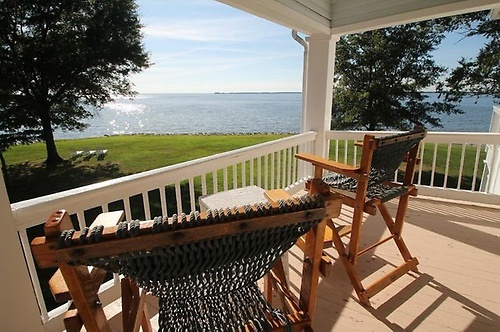 For those seeking the serenity of the country and the splendor of the Bay, we invite you to charming Wades Point Inn, just a few miles from St. Michaels. 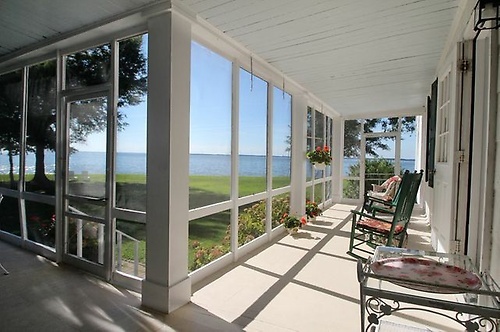 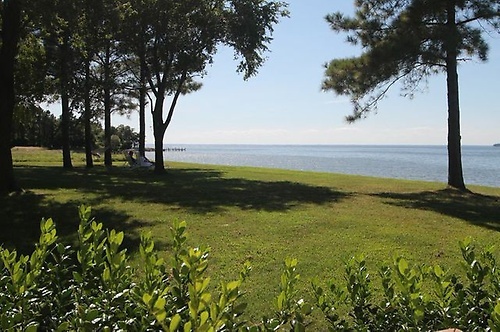 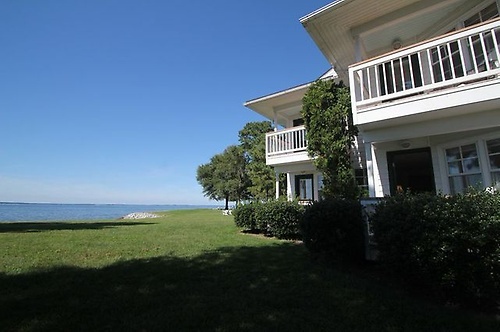 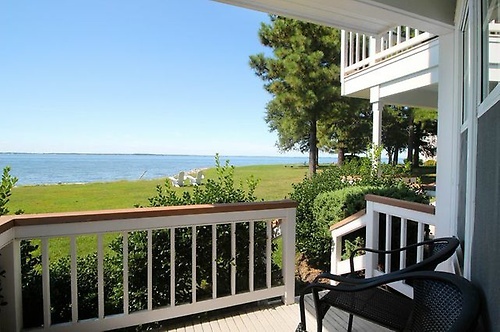 Complemented by the ever-changing view of boats, birds and water lapping the shorelines, our 120 acres of fields and woodland (with one mile walking or jogging trail) provide a peaceful setting for relaxation and recreation on Maryland's Eastern Shore. 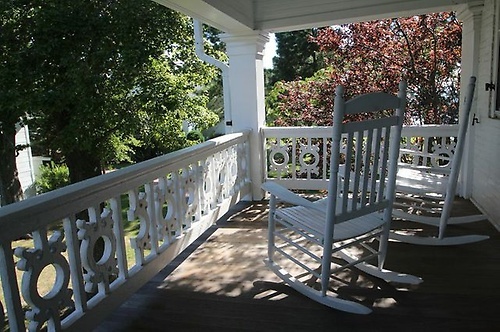 A picturesque historic setting, ideal for couples or families. 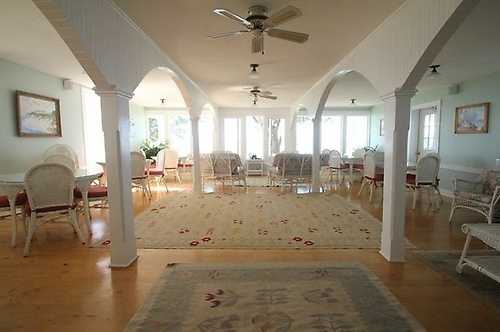 Executive retreats or seminars are welcome. 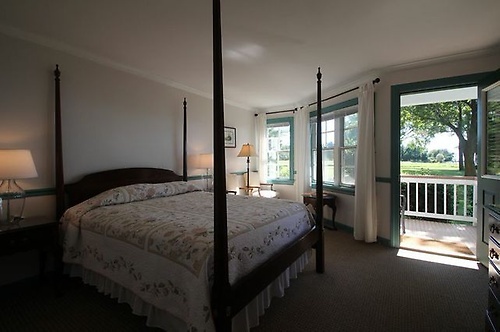 Wades Point Inn reviews on Yelp! 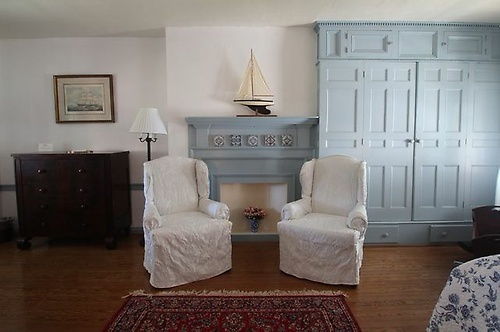 Select your choice of 26 rooms found in 4 distinctly different buildings. 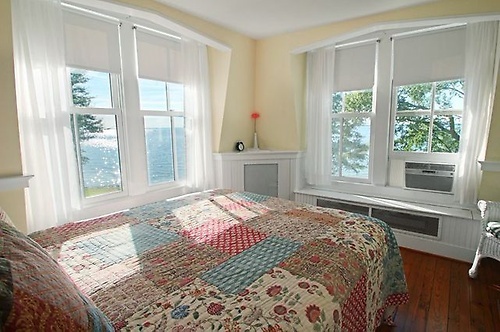 3rd floor bedroom named The Sunset room.. enjoy sunsets from the clawfoot tub.